The year in music is off to a promising start, including the return of Mr. Sexyback and Daft Punk (new album Random Access Memories drops May 21). Jurassic 5 reunited, and even PSY is back with “Gentleman,” managing to one-up the ridiculousness of last year’s inescapable “Gangnam Style.” If you haven’t been paying attention, your ears deserve to listen to some quality new music. They’ve previously collaborated with Jackson Browne, whose chillout-and-be-groovy Americana sound fits this California band perfectly, and this new album is so captivating I had to listen to it all the way through — twice — before I could even check out anything else that came out that week. If you say “I like everything but country,” you haven’t listened to The Band Perry (and a dozen other great artists). Sibling trio Kimberley, Reed and Neil Perry drop some fantastic harmonies and infectious hooks that you’ll love to sing along with in the car. Remember that song “If I Die Young”? That was just a glimpse of how good they are. You’ve heard this album by now. If it wasn’t JT, would we all think it’s so good? Perhaps not, but what I admire is that he and Timbaland didn’t fall into the trap of following popular music trends (i.e. dubstep or having David Guetta and Calvin Harris make the beats) and did their own thing. It’s groovy, and an expanded album (with 20 tracks, since it’s “20/20”) is due later this year. 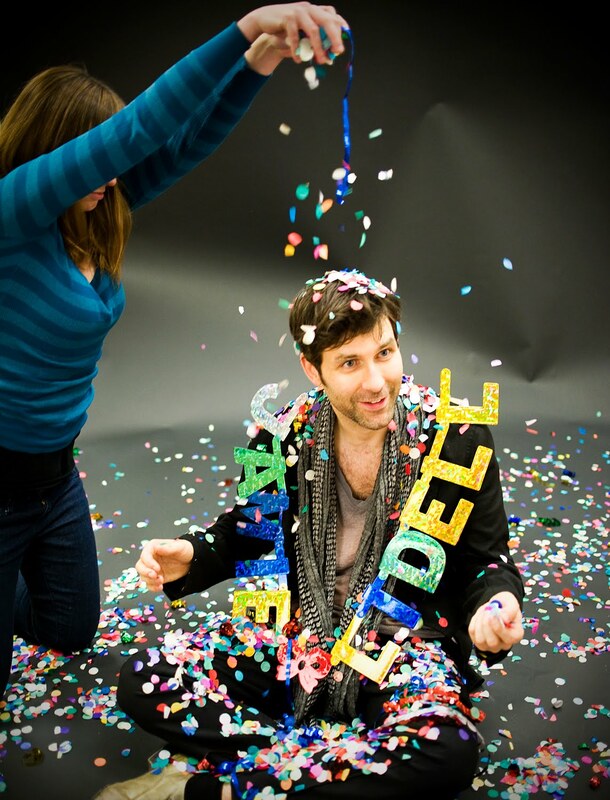 If Beck were a British soul singer, he might sound like Jamie Lidell. Mix equal parts funk, soul, pop, dance, electronica and rock, let it simmer for 45 minutes, and then it’s bon appetit for your ears. Sometimes it’s hard to get in the mood to listen to Mark Oliver Everett, a.k.a. “E,” the one-man creative force behind Eels — because he makes so many different sounds. You’ve heard his songs in movies like Shrek, Knocked Up and Yes Man, but his entire genre-jumping discography is fantastic and mind-bogglingly unique. Check out the expanded edition of this album, too, for a few great B-sides and live versions of some of his past post-modern pop gems. I may be biased because I knew several of the band’s members when they were students at Syracuse University where they first formed, but this is a solid album. Influenced in part by futurist thinker Ray Kurzweil, start with “Dance With Me” and enjoy. While it seems unlikely that Patrick Stump, Pete Wentz and co. can “save rock and roll,” the title track featuring Elton John is fantastic. Skip “Young Volcanoes” and “Rat A Tat” (featuring Courtney Love), and you’ve got a great album that will make any emo/pop/punk fan glad to see FOB is back. The guy from The Jerk and the girl who sang “What I Am” in the late ’80s? There’s a new She & Him in town, and this one’s easier to listen to multiple times than Zooey Deschanel and M. Ward. The banjo-playing comedian pairs up with the folk-singing wife of Paul Simon for a delightful mix of modern and traditional (“When you get to Asheville send me an email,” Brickell sings on the first track) that’s worth repeat listens. I’ve always respected John Denver’s body of work, and these covers make me realize what a great songwriter he was. The world didn’t need another rendition of “Rocky Mountain High,” but check out fantastic contributions from Dave Matthews, Train, Brandi Carlile (“Take Me Home Country Roads”), Amos Lee, Old Crow Medicine Show and My Morning Jacket (“Leaving on a Jet Plane”). Also, Snoop Dogg, who’s been “reincarnated” as reggae artist Snoop Lion, appears to have proved that you can overdose on marijuana. But on the bright side, there’s still plenty of artists with music coming out later this year. Keep your eyes (and ears) open for new material from Jimmy Eat World, Daft Punk, Lady Antebellum, Deltron 3030 (! ), Goo Goo Dolls, Eminem, Hanson, KT Tunstall and Britney Spears. Chali 2NA released a new EP in March, so hopefully he and/or the rest of Jurassic 5 will also have more on the way. And on their upcoming third album, maybe Vampire Weekend will finally live up to the hype started 5 years ago. Maybe. Have I missed anything? What are your favorite releases of 2013 so far? Let me know!